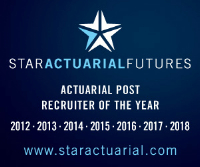 Major insurer has an exciting career-development opportunity for a part-qualified non-life actuary to join its pricing team where you will develop and maintain product pricing for prospective new products and new business tenders. In this key role, you will ensure the Household and Lifestyle data and IT infrastructure will support pricing and account management. In addition, you will maintain systems to monitor the performance of accounts in terms of business flow, claims experience at a detailed level, and competitor prices. The successful candidate will understand the modelling techniques specifically relating to Pricing and Reserving. A good knowledge of relevant software packages including Microsoft Office & SAS also essential.